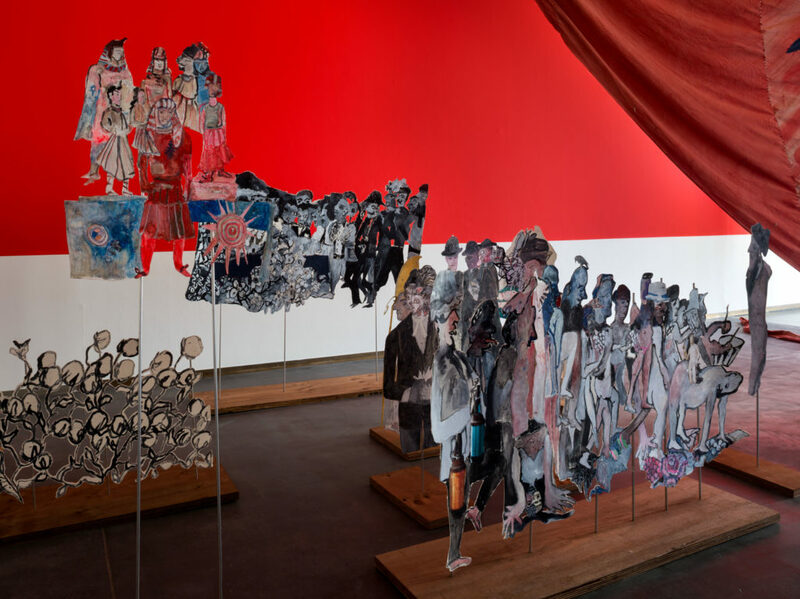 This exhibition features large-scale installations of cut-out paper figures, alongside paintings, collages and books, as well as components of the artist’s studio brought to St Ives. While addressing current global concerns, the exhibition resonates with the local context of St Ives as an artists’ community, and Cornwall’s industrial history. The exhibition is curated by Carolyn Christov-Bakargiev, Director, and Marianna Vecellio, Curator, Castello di Rivoli Museo d’Arte Contemporanea, Rivoli-Torino in collaboration with Tate St Ives.